How Can I Change the WordPress PHP Version My Site Uses? All Kinsta clients can change PHP versions for each site individually. You can choose between PHP 5.6, PHP 7, PHP 7.1, PHP 7.2, and PHP 7.3. We highly recommend at least PHP 7 as it is much faster, resource-friendly, and more secure than its predecessors. PHP 7.3, in fact, has shown to be 3x as fast in some configurations, as seen in our PHP benchmark reports. Then click on the “Switch” button to confirm your choice. This process may take up to 3 minutes. 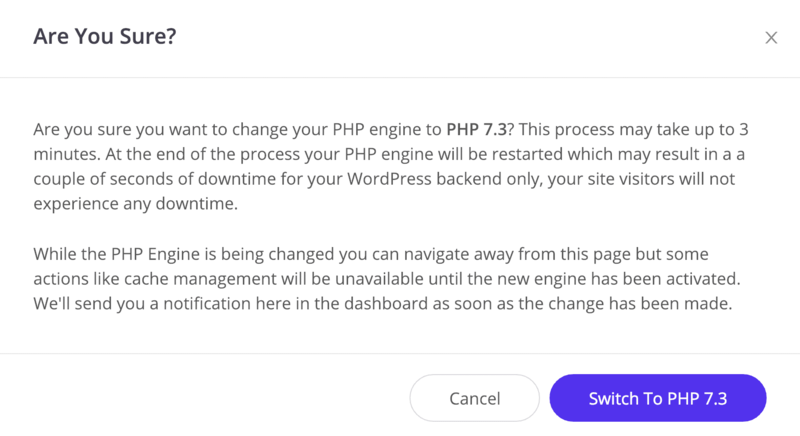 At the end of the process, your PHP engine will be restarted which may result in a couple of seconds of downtime for your WordPress backend only, your site visitors will not experience any downtime. 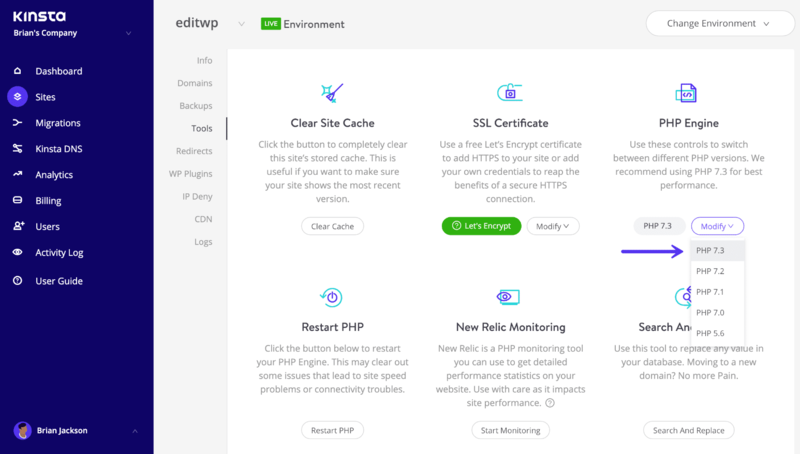 While the PHP version is being changed you can navigate away from the above page but some actions like cache management will be unavailable until the new engine has been activated. You will receive a notification in the dashboard as soon as the change has been made. We don’t offer the following older versions of PHP because they have officially met their End of Life and are no longer supported. This means they don’t receive updates and could contain unpatched security vulnerabilities. → What Are PHP Workers and How Many Do You Need? 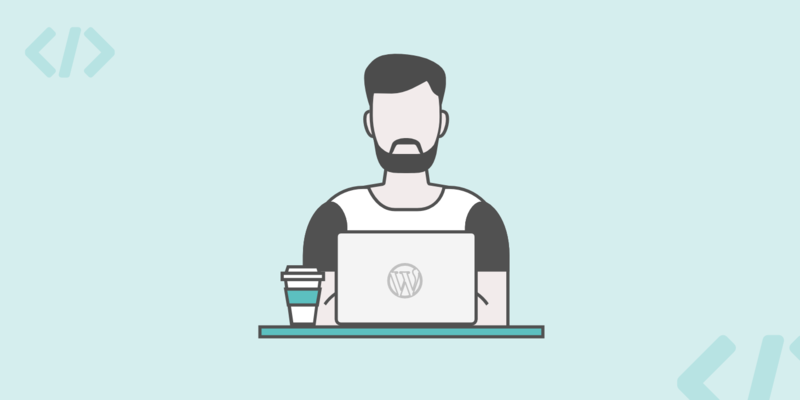 → Can I Restart PHP On My WordPress Site? → How Do I Change My SFTP Password?